White cotton twill mini pillow measures approximately 8 inches X 12 inches. 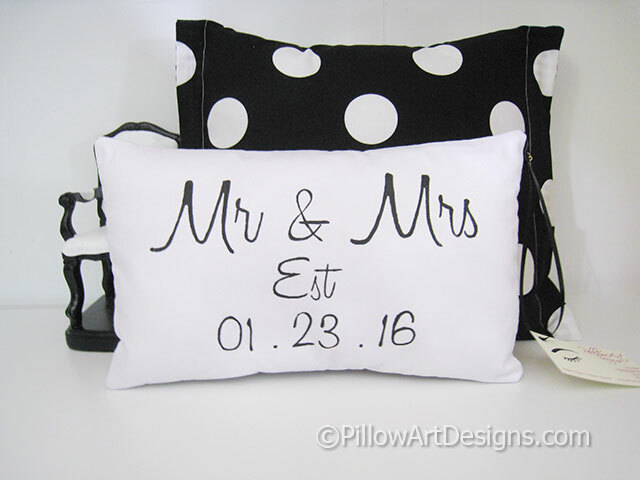 Hand painted Mr and Mrs with Est and numerical wedding date on the front of the pillow. Fully lined with 100% cotton, envelope closure, seams double stitched for durability and overcast to prevent fraying. Pillow comes stuffed with hi loft polyester fiberfill, ready to enjoy, no need for an insert. To order, proceed through check out process and send me an email here with the date you require for the front and colour of paint preferred. 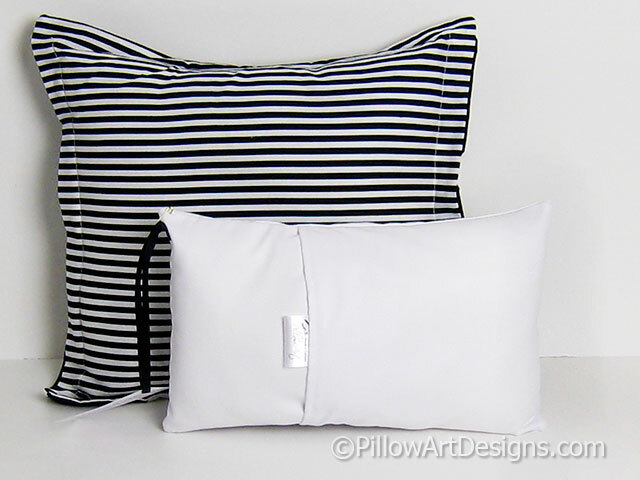 All my pillows are handmade and hand painted by me in my home studio in Niagara, Ontario, Canada. Please don't hesitate to contact me via this website with any questions you have regarding an order.